Serrapeptase a powerful systemic enzyme that promotes total body support. Being the most powerful Serrapeptase on the market, Serrapeptase is unrivaled among products of its kind because it is packed with 130K SPU per capsule (80K is also available), the strongest in the world. Serrapeptase – also known as serrapeptidase, serratiopeptidase and serratia peptidase – is a powerful proteolytic enzyme derived from a species of bacteria originally found in the intestine of silkworms. The bacterium, Serratia mercesans, produces the enzyme serrapeptase to enable the silkworm to dissolve its silken cocoon and emerge as a moth after metamorphosis. Serratia is now grown in cultures to produce serrapeptase by fermentation. Systemic enzymes are essential to a healthy lifestyle. Processed food, exposure to environmental toxins and occasional illness cause the body to use up these enzymes, forcing it to work even harder to make these enzymes and use them in the many complex reactions that take place every moment in our bodies. An all-natural systemic enzyme, serrapeptase is a catalyst that stimulates and alters the body’s own capacity to recover with minimal side effects. What is enteric coating, and why is it needed? Enteric coating is a layer of protective coating for dietary supplements that is meant to allow the supplement to bypass digestion by the stomach and be absorbed in the small intestine. Systemic enzymes are proteins, so their functional structures are denatured (or destroyed) in conditions of extreme pH and temperature. Without enteric coating, enzymes would be rendered useless long before they reach the bloodstream, where their carry out their beneficial effects. What’s enteric coating made of? At AST Enzymes, we use Methacrylic Acid Copolymer (MAAC) for our enteric coating. Methacrylic Acid Copolymer (MAAC) is not a phthalate. According to independent studies, MAAC is the most gastro-resistant when compared to other commonly used enteric coating agents such as Cellulose Acetate Phthalate (CAP) and Hydroxypropyl Methycellulose Phthalate (HPMCP). This means that MAAC can most effectively withstand the acidity of the stomach, allowing its contents to be released in the small intestine and absorbed successfully. Don’t let the name scare you. MAAC is a food-grade compound that has been in use as enteric coating in the pharmaceutical industry for over 50 years with no reported side effects. In fact, the European Food Safety Authority – an organization that conducted studies which led to the ban of 6 types of phthalates in personal care products in Europe in 2004 – has deemed MAAC safe for use as coating agent in food supplements. Not only is MAAC listed as Generally Recognized As Safe (GRAS) by the Food and Drug Administration (FDA), the Environmental Protection Agency (EPA) also conducted various studies and found sufficient information to reasonably conclude that the current use pattern of MAAC will not adversely affect public health or the environment. Serrapeptase Units: Facts OR Fiction?! 1. To truly understand these units let us gather a bit of knowledge to actually understand how enzymes work. The enzyme unit (U) is a unit for the amount of a particular enzyme. One U is defined as the amount of the enzyme that produces a certain amount of enzymatic activity, that is, the amount that catalyzes the conversion of 1 micro mole of substrate per minute. 2 Enzyme activity is equal to the moles of substrate converted per unit of time under standard conditions. An increased amount of substrate will increase the rate of reaction with enzymes; however, once the reaction exceeds a certain point Vmax, the rate of reaction will become linear because the amount of active sites will remain constant. Figure: 1 the above figure illustrates a Michaellis Menten Plot. This shows that an increase in substrate will increase the reaction rate until a certain point is reached (Vmax) then it will level off constant as all of the active sites have remained constant. Now that we understand how an enzyme works on a biochemical level, how do we measure the units of activity specifically for Serrapeptase and what do they mean? If you have been researching the wide variety of options for Serrapeptase on the market today you have surely come across an extensive list of units that seem to leave people even more distraught then when they started. A shortlist would include mg, IU, SU and SPU. Let us explore each of these units and analyze them thoroughly in detail. The first unit you may be familiar with and come across is mg, also known as milligrams. This is an accurate unit of measurement for weight; however, a weight of enzyme can contain low activity levels or high activity levels. 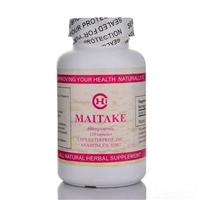 Ideally for the highest quality enzyme, you would want the lowest weight and the highest activity ensuring purity. This is why we do not look at Serrapeptase in regards to mg weight like we would do with traditional NSAIDs, (anti-inflammatory drugs such as Aspirin, etc). Instead, the activity level of the enzyme is what is vital to its effectiveness in measure. Another form of measurement, the International Unit, (IU), has also been seen on the market to describe the activity of Serrapeptase. The international unit is a unit of measurement for the amount of substance; mass or volume that constitutes one international unit caries based on the substance being measured. IU is supposed to be used to quantify vitamins, hormones, some medications, vaccines, and blood products. “The enzyme unit should not be confused with the international Unit (IU), and unrelated measure of biologically active substances.”6 Despite its name, IU is not part of the International System of Units physics and chemistry. “The IU should not be confused with the enzyme unit, also known as the International unit of enzyme activity and abbreviated as U.4” Companies that continue to use this unit (IU) to describe the activity of Serrapeptase are incorrect. Finally, you may have come across (SU) or (SPU), both standing for Serrapeptase Unit and have been used interchangeably by the masses. These have both been accepted and accurate in industry; however, (SU) may draw some confusion. (SU) is a unit used in the digestion of Invertase (Sucrase). One SU (Sumner Unit Invertase/Sucrase) is the FCC assay of measurement, whereby one Sumner Unit is the quantity of enzyme that will convert 1 mg of sucrose to glucose and fructose in 5 minutes. As you can see this can become problematic using the same units for different processes already defined.7 While both SU and SPU are used today in industry, the most accurate unit to describe the activity of Serrapeptase is (SPU). As a final point in summary, the potency of the enzyme is the most crucial factor in determining how well it will work, and this is measured by activity not by weight. The most accurate unit of measure for Serrapeptase is (SPU), Serrapeptase Units. Using this one and only Unit will assure that the information is accurate and streamline. Do not be fooled by marketing strategies of large incorporations to fool you by lack of knowledge as a consumer. Don’t be misled by deceiving marketing strategies by other companies claiming to have serrapeptase with 250,000 SPU. These clever companies are misleading their customers to believe that they have the strongest Serrapeptase by claiming that their products contain 250,000 SPU of serrapeptase per “dosage”—which in most cases, 2 capsules, therefore only 125,000 per capsule. Don’t let yourself be fooled by deceptive techniques that are designed to confuse customers. AST Enzymes is the largest manufacturer of Serrapeptase in the world and happens to carry the strongest Serrapeptase on the market with 130,000 SPU per capsule! Our quality and prices of our products speak for themselves. Our serrapeptase is enteric-coated to survive the acidic conditions of the stomach without being degraded. This allows for optimum absorption in the small intestine and greater systemic activity. The pH resistant enteric coating disintegrates after it enters the alkaline environment of the intestine. Most serrapeptase brands on the market are not enteric-coated, which means this low-pH sensitive enzyme can lose activity, and thus effectiveness, when entering the stomach. The enteric coating in Serrapeptase allows the enzymes to survive the acidic conditions of the stomach, which increases absorption in the small intestine, systemic activity and efficacy. Day 1-5: Take 1 capsule, twice a day. Day 6-12+: Therapeutic Dose of 2(+) capsules, twice a day. Therapeutic Dose: Maximum capsules needed for desired effect. Increase dose as needed. May vary from person to person. Maintenance Dose: This is the minimum dose needed to continue to maintain the effects of managing your symptoms. This dosage varies upon individual and should be monitored closely. Systemic enzyme therapy refers to the therapeutic use of natural enzymes to produce desired healing effects. Systemic enzymes are absorbed from the small intestine where they enter the bloodstream and execute their effects on the entire body as a system. Their crucial role in normal inflammatory response assists and supports the body in accelerating healing. Proteolytic enzymes break down proteins into their building-blocks, which are called amino acids. Systemic proteolytic enzymes are responsible for breaking down accumulated protein and waste substances found in the circulatory system and connective tissue. Waste materials produced from inflammation and other biochemical processes can build up, contributing to excessive scarring and perpetuated immune responses. Excessive scarring, particularly of the organs, can exacerbate symptoms of the associated disease. The waste product of specific concern is known as fibrin. Regular systemic proteolytic enzyme use can improve circulation and aid in flushing out these waste products. Why is it important to take Peptizyme-SP on an empty stomach? Since most absorption occurs in the small intestine, the systemic enzymes must bypass the stomach to gain access there. If the enzymes are taken with food, they will likely begin working to break down your food within the stomach, rather than passing through to the small intestine. Taking systemic enzymes like Peptizyme-SP with food will compromise their absorption, as well as their effectiveness. Does Peptizyme-SP have an enteric coating? Yes, the serrapeptase in Peptizyme-SP is enterically coated. While similar systemic enzymes may have the same active ingredients, most do not utilize enteric coating. The purpose of enteric coating is to protect the enzyme from the acidic environment of the stomach. High activity level is preserved until the enzymes reach the small intestine, where absorption into the bloodstream takes place. While the enteric coating can withstand the acidic environment of the stomach, the alkaline environment of the small intestine will disintegrate the enteric coating, allowing the enzyme to be active within the bloodstream. No, our enteric coating does not use or contain phthalates. At AST Enzymes, we use Methacrylic Acid Copolymer (MAAC) for our enteric coating. Compared to other commonly used enteric coating agents such as Cellulose Acetate Phthalate (CAP) and Hydroxypropyl Methycellulose Phthalate (HPMCP), MAAC is the most gastro-resistant and does not carry the same risks. Additionally, MAAC is considered GRAS (Generally Recognized as Safe) by the FDA and is approved for use by the European Food Safety Authority. To learn more about enteric coating used in AST Enzymes products, please see our “Compare” tab. How long should I take Peptizyme-SP before feeling results? Are there any side effects involved with Peptizyme-SP? The use of Peptizyme has not been shown to exhibit detrimental effects, neither long term nor short term. Just as dosage requirements vary, side effects may vary as well. Although gastrointestinal disturbances have been reported by a small percentage of new users, tolerance is maintained once the dosage is adjusted. Minor allergic reactions, like reddening of the skin, are also rare occurrences, and can be seen with extremely high doses. There are no known interactions with prescription or over the counter drugs while using systemic enzyme therapy. However, it is recommended that you consult with your physician about starting systemic enzymes, especially if you are currently on blood-thinning medications or if you are pregnant or nursing. Can I take Peptizyme-SP with other systemic enzymes? Systemic enzymes may be taken together, yielding desirable results, as long as they are taken on an empty stomach. In fact, it is often recommended that systemic enzymes be combined. Products Peptizyme-SP and Serracor-NK often have synergistic effects when taken together. This means that the separate products work together to produce advantageous results. By combining and enhancing the activity of the enzymes, their effects on the healing process are more attainable. Can I take Peptizyme-SP with digestive enzymes?